Celebrating over 40 years of inspiring music in the community! 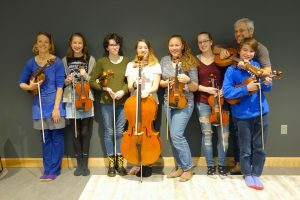 The Music School welcomes students of all ages and abilities. Since 1976, the Brattleboro Music Center’s Music School has been sharing the gift of music. Today, with over 400 students, 30 dedicated and talented faculty members, and music instruction in 15 instruments and voice, the Music School continues to be at the heart of music in our community. 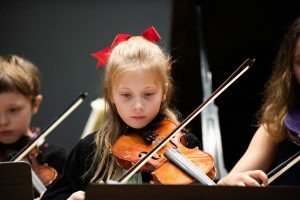 We invite you to learn more about the Music School’s LESSONS, CLASSES, and ENSEMBLES, including our student orchestras. People of all ages and abilities pursue their musical interests at the BMC. We believe music should be accessible to all who seek it and toward that goal the BMC awards more than $25,000 annually in financial aid and offers lessons for those with disabilities. It is never too early or too late, so get involved and enrich your life with music.